The huge news broke this morning that Neil Gaiman, the hottest author in the business, is coming to Charleston to headline a loaded and revived West Virginia Book Festival in October. This is as big a deal in the literary world as the Beatles coming to Charleston would have been in the music world. Seriously, he’s a biger draw than Stephen King or George R.R. Martin. 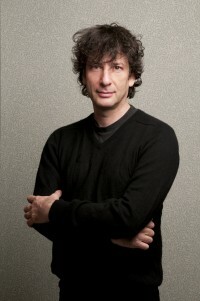 In case you aren’t familiar with Gaiman through his many best-selling books or his work in comics (which is where I discovered him almost thirty years ago), we’re posting a short appearance by Gaiman on Craig Ferguson’s late-night talk show from 2011. Even though they spend a lot of the time talking about Dr. Who, this will give you a hint of what to expect when Gaiman comes to Charleston in October. We’re psyched. As many of you may know, Mrs. PopCulteer, Melanie Larch, is a huge fan of Grumpy Cat. In a couple of weeks we’re going to bring you a video preview of cool plush Grumpy Cat items that we saw at the International Toy Fair in New York last February. Mel is also a lover of real cats, although we can’t have any in the house because of my allergies. Still, it was cool to hear this week that Grumpy Cat, in her plush toy form, has done something to help out real kitties in need. 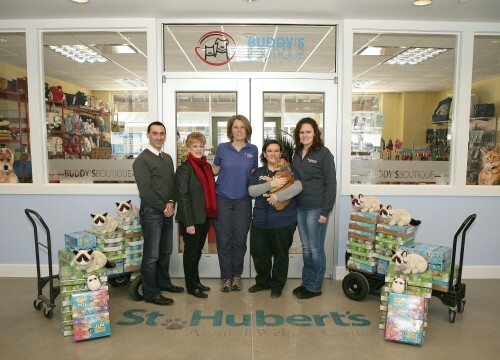 GUND, in partnership with internet sensation Grumpy Cat, donated over a thousand cans of cat food to St. Hubert’s Animal Welfare Center on Friday, February 27. Founded in 1939, St. Hubert’s Animal Welfare Center is a nonprofit organization dedicated to the humane treatment of animals. St. Hubert’s has two locations in Madison and North Branch, New Jersey. GUND promised to donate one can of cat food to St. Hubert’s for every business card collected during this year’s New York International Toy Fair, a toy industry trade show held at the Javits center in Manhattan from February 14–17. Throughout the event, approximately 500 visitors dropped off business cards. The Grumpy Cat team, during an in-booth live appearance by Grumpy Cat herself, generously offered to match GUND’s donation for a total of over 1,000 cans of food. It’s a cool thing for GUND to have done, and we’re glad to have contributed a couple of business cards to the effort. Watch for our video from GUND’s Toy Fair booth in a couple of weeks. 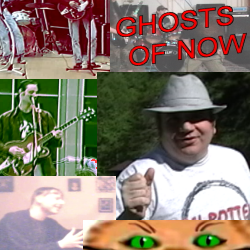 This is the nineteenth episode of Radio Free Charleston, “Ian Rotten Shirt,” from May 2007, with music from Go Van Gogh and The Ghosts Of Now, plus a Pentagram Flowerbox cartoon, which has been restored to its original place in the show. This show marks the RFC debut of Lee Harrah, who is still a frequent guest and a valued production team member. The Mystery camera person who shot the original footage of Go Van Gogh turned out to be none other than Melissa Beezley (now Melissa Beezely Johnson) who has been a friend of RFC since the radio days. This show is not 100% as it was when first posted, though. The original version included a commercial parody created by someone who later turned out to be, well, let’s just say “a criminal.” On top of that, it was very poorly done and not very funny. Newly-created animation takes its place, and is much, much better, despite being slapped together in less than ten minutes. It’s a shorter than usual PopCulteer this week, as your loyal correspondent has many irons in the fire so that he can bring you more cool stuff in the coming weeks. But we do have a few short items and some stuff you can do. There is a pretty disturbing phone scam that’s popped up in our area lately, and I’ve been getting slammed by it. You get a robocall with your name dropped into it that says you are about to be served and charged with fraud. First of all, it doesn’t work this way. No process server will ever call you in advance and tip you off. That is your first tip-off that this is a criminal operation. The call goes on to tell you that you need to call (501) 507-0888 to work out the details of your pending lawsuit. That’s your second clue that this is a scam. 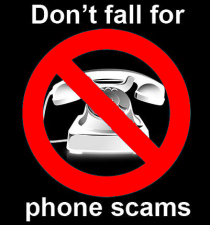 They want you to call them so that they can then claim to have made contact with your phone number in a business matter, which gives them a loophole to sell your number to telemarketers. These people already have your name, address and some personal information. They’ve aggregated this from public sources which are more easily accessible than ever thanks to the internet. They will use this information to try and make you think that they are legit. 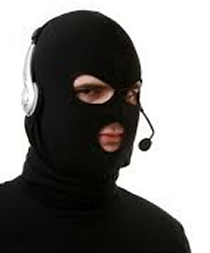 The best way to deal with these scammers is to ignore them and wait for them to go away. You could also try a call-blocking service like TrapCall, but I have to wonder if these services might be behind some of those annoying calls. What better way to market your service than to create a demand for it? The reason I’m jokingly paranoid about this is that I can’t understand why these scammers put so much effort into this sort of harrassment. You would think that after finding out that their “mark” is not going to fall for their scam, they’d cut their losses and move on. The book is packed with revelations about Amish life. Divided into three sections, the middle part of the book is a mix of “true crime” anecdotes and other surprising chapters that reveal more to the reader than is commonly shown in media portrayals. All of this material is well-sourced and verifiable. This part of the book runs the gamut from sordid stories of sexual abuse to tales of puppy mills and drug deals with motorcycle gangs, mixed in with success stories and the big shocker–many Amish have become multi-millionaires due to the fracking boom. But while the middle part of the book is a sizable portion, it’s not the best part of the book. 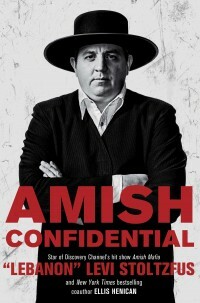 Before we get into that, you have to understand the appeal of Amish Mafia. While the program was a “reality” show, it played more like an extended, four-season-long SCTV sketch. Nobody was watching this show because they thought it was real. It was as real as the storylines in professional wrestling. Part of the fun of being a comic book fan is picking out the analogues between one company’s heroes and anothers. For example, Marvel has Namor, the Sub-Mariner, while DC has Aquaman. Both are half-human rulers of the underwater kingdom of Atlantis. It’s a game that almost every fan of super-hero comics plays. DC Comics has The Flash. Marvel had The Whizzer, and later Quicksilver. Both have super-speed. Marvel had Nova while DC had Firestorm. Both were high-school students suddenly bestowed with unbelievable power. Bruce Wayne and Tony Stark are both millionaires who fight crime with expensive gadgets. 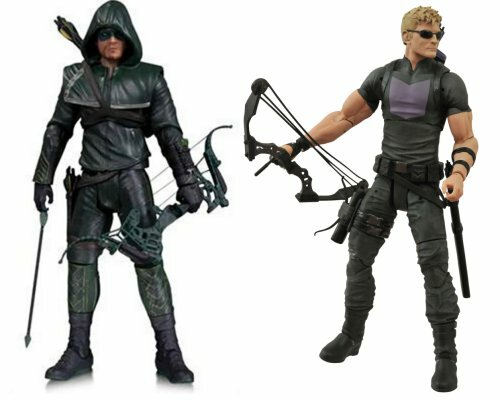 And then we have Green Arrow and Hawkeye. Also known as Oliver Queen and Cliff Barton. Both of these heroes fight crime with a bow and arrow and no other super powers. It seems unlikely, but in the hands of talented creators it can work. Green Arrow predates Hawkeye by more than twenty years, but the legendary Jack Kirby wrote and drew Green Arrow before moving to Marvel comics where he was a driving force in the creation of the Marvel Universe. Now, after years of second-banana status, both characters have made the jump into new mediums. 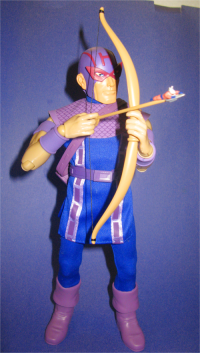 Hawkeye, as played by Jeremy Renner, is a major player in Marvel’s Avengers movie franchise, while Green Arrow, shortened to “Arrow” stars in his own television show on The CW that is the starting point for DC’s television universe.